The 2014 Relentless, made up of 89% Syrah and 11% Petite Sirah, is deep garnet-purple with a pronounced nose of black plums, blackberries and black cherries with touches of fragrant earth, black pepper and Indian spices plus a waft of lavender. Very big, full-bodied, opulent and laden with vibrant black fruits and spicy layers, it has firm, rounded tannins and seamless freshness, finishing long and peppery. The 2014 Relentless is just as impressive from bottle as it was from barrel. Inky, voluptuous and wonderfully vivid, the 2014 has so much to offer. A rush of inky blue/purplish fruit, exotic spice and floral notes build into the powerful, brooding finish. 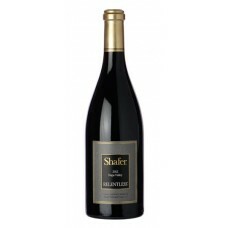 Two thousand fourteen is an exceptional vintage for Relentless, Shafer's Syrah/Petite Sirah blend.